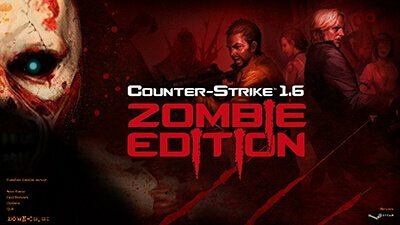 We are happy to present to you the newest version of Counter-Strike: CS 1.6 Zombie Edition. 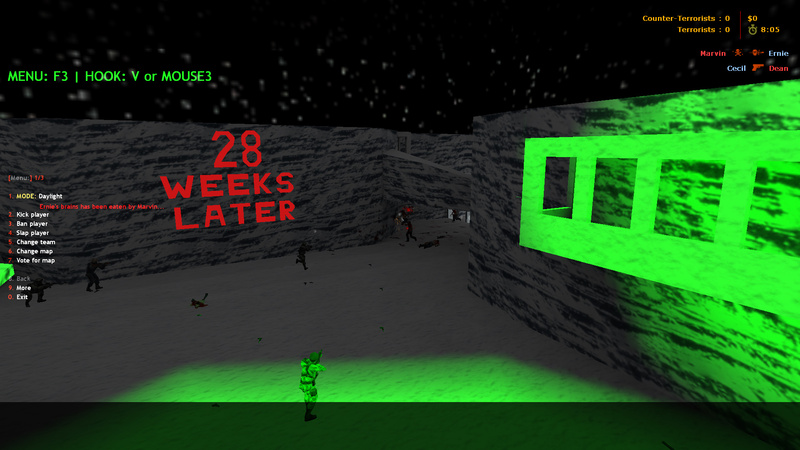 This version of the game is designed specifically for Zombie Plague which means it's perfect for the zm mod. 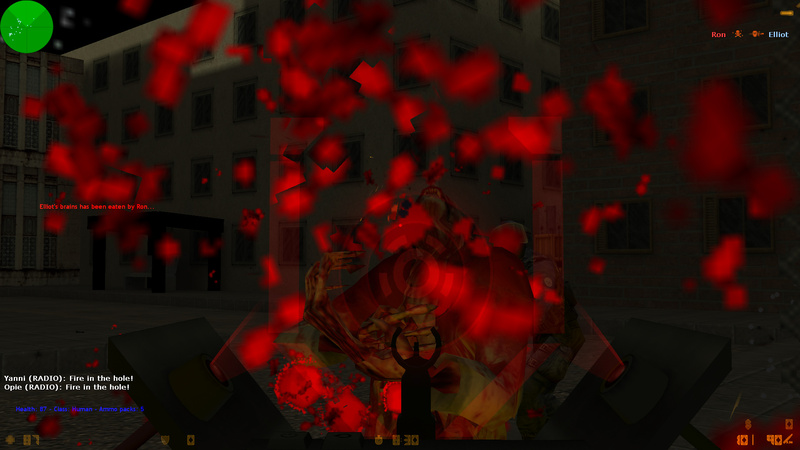 It includes amazing style and the atmosphere that guarantees to take you into the dark world of evil and horror. Download CS 1.6 Zombie to experience a fully functional single player with zombie bots and AmxModX which provides you with admin rights so you can customize the gameplay, change maps, teleport and much more from a very convenient menu (just press F3). 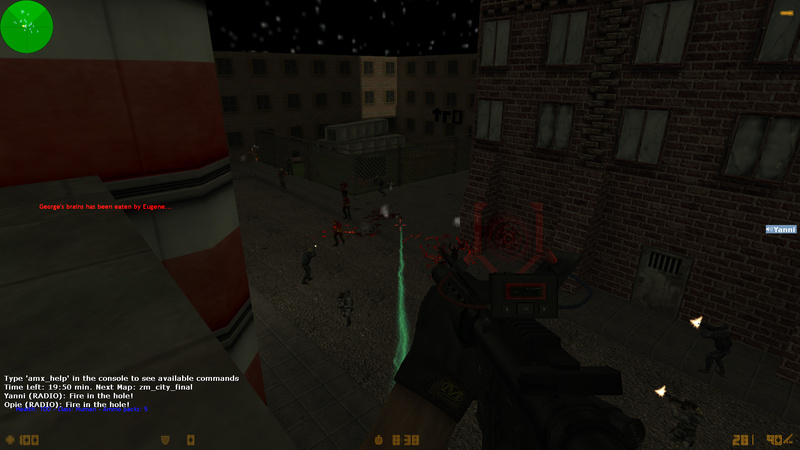 You will also have a hook and be able to fly around the CS 1.6 map easily, just press V or Mouse3 to activate it. 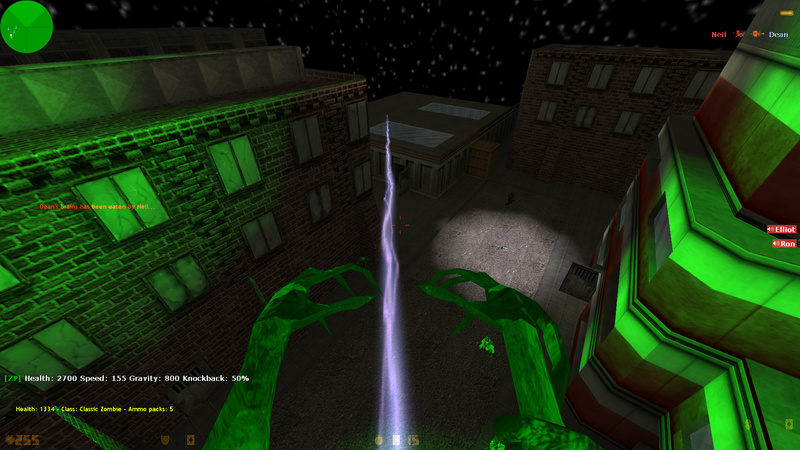 The menu also allows you to switch from a Daylight mode to Nightmare essentially changing the lightning mode from day to night which is also a very important part of the gameplay. 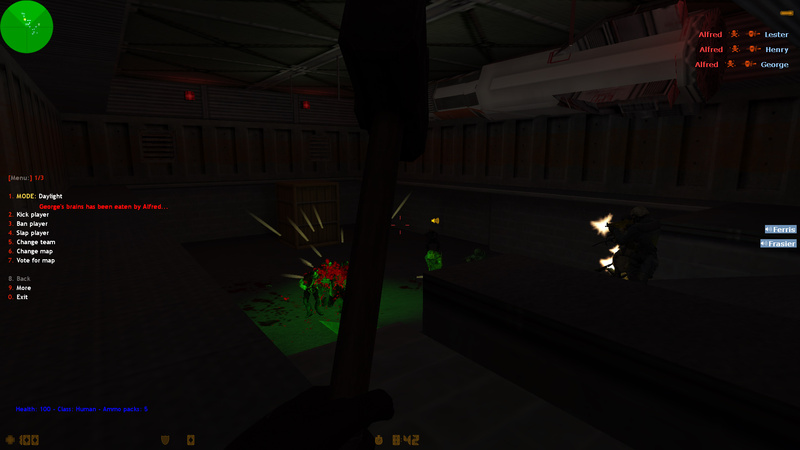 Basically CS Zombie Edition provides you with the most amazing ZM experience possible. Aside from playing the game offline, the multiplayer is also available in this version with some of the best servers you can find. 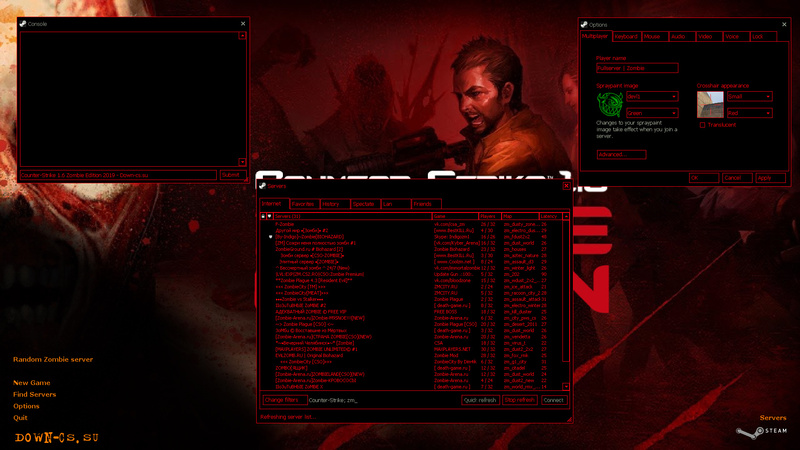 You can simply choose the "Random Zombie server" option in menu to get connected to one of the servers or start up server browser which consists of only zm servers. Rest assured, all of the locations are great to play at, so you will just need to find the one you love most and get ready to spend the rest of the day battling the forces of darkness. I was waiting for at least one good website to give a link to Zombie related CS. Thanks a lot! 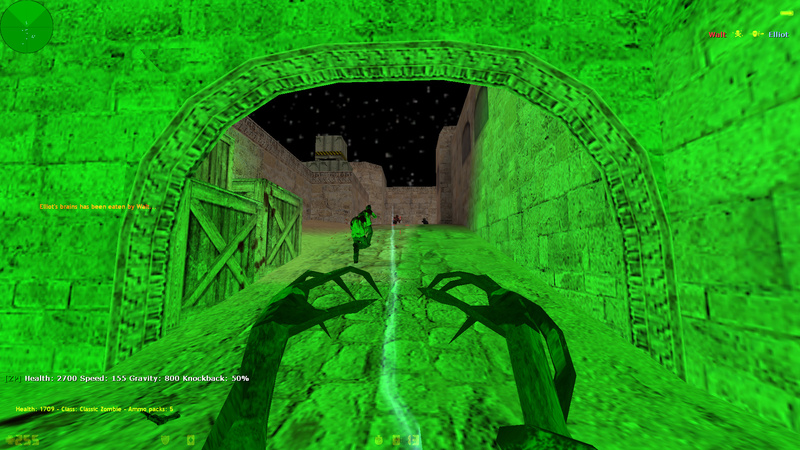 Counter Strike's all series are best.